The accidents that have occurred with the dawn of this year’s Sinhala and Tamil New Year have increased in number compared to the year 2018, the Colombo National Hospital said. The increase has amounted to 8 percent this year, according to a media spokesperson of the hospital. 413 persons have been admitted to the Colombo National Hospital due to accidents over the last 48 hours. Out of this total, 203 persons are receiving residential treatment at the hospital and this is a 15 percent increase in comparison to last year. Meanwhile, 113 individuals have been hospitalized over motor accidents, however, it was reported that this is a decrease of 6 percent decrease compared to last year. The domestic incidents reported this year have mounted to 49, reporting an increase of 22 percent. 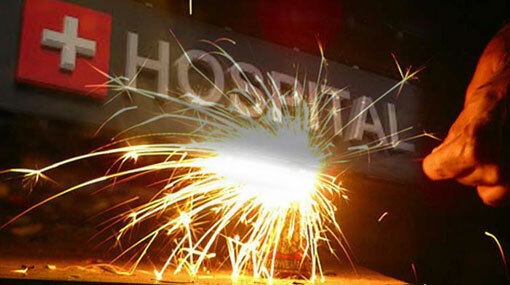 The National Hospital said six firecracker accidents were reported this year while only one incident was reported last year. The public is urged to be heedful of the possible accidents that could occur during this festive season.